With remixes by 4D and Chris Llopis. We are delighted to bring you a stunning ep from underground maestro Shane Berry. Having released on Synwave, Trapez, Dirty Works, Gluckskind Schallplatten, and Greta Cottage Workshop, he is no stranger to the dancefloor and has been championed by Richie Hawtin, Sasha, Sven Vath, James Zabiela and Nic Fanciulli to name a few. Here he presents a very deep, slightly haunting spacious workout with slightly wonky grooves, huge fx, a massive sub and a stab that stays with you well after its done. 4D and Llopis have both put their own slant on things, and re-live the original. 4D with a dirty slightly edgy angle, and Llopis taking a more hypnotic approach adding his own stab and giving it a lush new sheen. To finish we have Sevrenine, a more laid back track, a kind of day after the night before affair…deep space…enjoy. 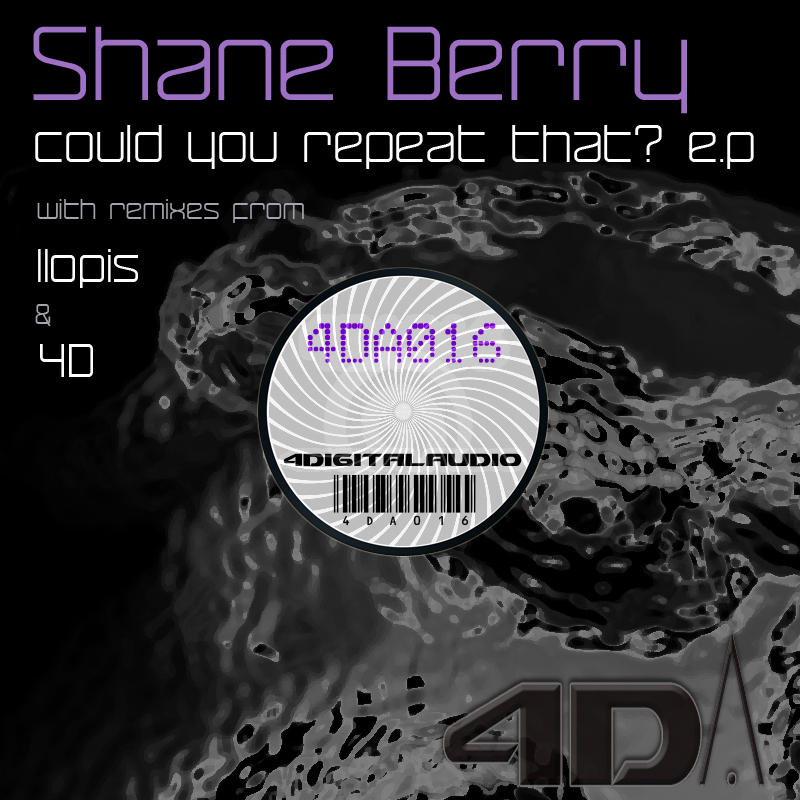 Shane Berry – Could You Repeat That?